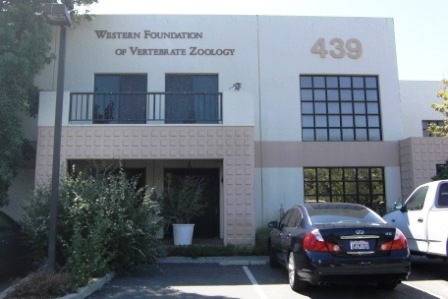 The Western Foundation of Vertebrate Zoology (WFVZ) is a charitable institution based in Camarillo at 439 Calle San Pablo. 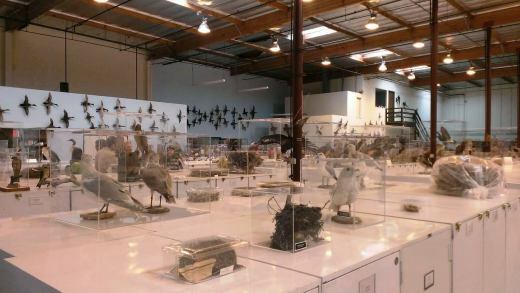 The 22,000 sq ft WFVZ (informally referred to as the Camarillo Bird Museum) hosts a natural history collection specializing in eggs and nests of birds. 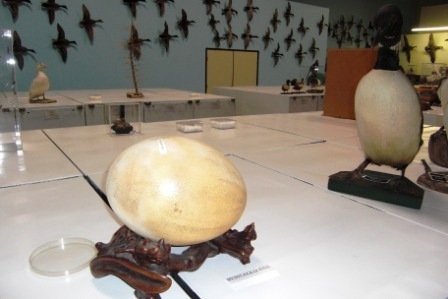 The collections include approximately 250,000 sets of bird eggs (equal to over 1 million individual eggs), representing over 4,000 bird species from around the world. There are also over 18,000 nests, the largest collection of its kind in the world. And over 56,000 bird study skin specimens from over 100 countries. The Foundation's fundamental mission is to obtain, protect, and manage ornithological collections in a manner that ensures their accessibility to researchers, educators, students, and the public, and to ensure that the materials are used in projects that contribute to the conservation of the world's wild bird species. The museum is not open to the public except by prior appointment. However, staff conduct public tours on the last Friday of every month from 3-4pm as well as the 2nd Wednesday of the month from 3:30-4:30pm (except Nov/Dec, when dates vary based on holidays). Additionally, individuals and small groups can contact the museum at least 1 day in advance to set up a walk-through of the museum without a tour. Call at least one day in advance to get on the waiting list (each tour is for a maximum of 20 people). Fee for tours is $5 per person (WFVZ members and kids 5 and under are free). Visit www.wfvz.org for more information or call 805.388.9944.